With a much heralded blast from the Siberian Tundra beginning to make itself felt, it was tempting to snuggle up with a good book in the warmth of Barn. However to do so would have meant missing out on an amazing phenomenon playing out only a couple of miles down the road at RSPB Minsmere – the magnificent Starling murmuration. So yesterday we wrapped up warmly and headed to the café at Dunwich Heath and patiently waited the birds’ arrival with a small crowd of other hardy souls. 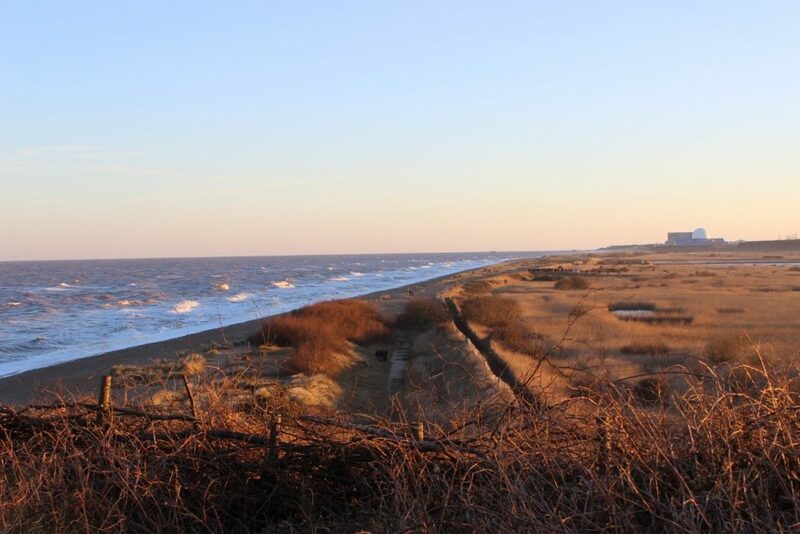 Even without birds it was a beautiful sight in the late afternoon sun – framed by an unusually lively north sea to the left and golden reed beds to the right, with a rather glamorous Sizewell C presiding over proceedings in the centre. At about five o’clock a few dozen birds arrived like a rather underwhelming warm up act. 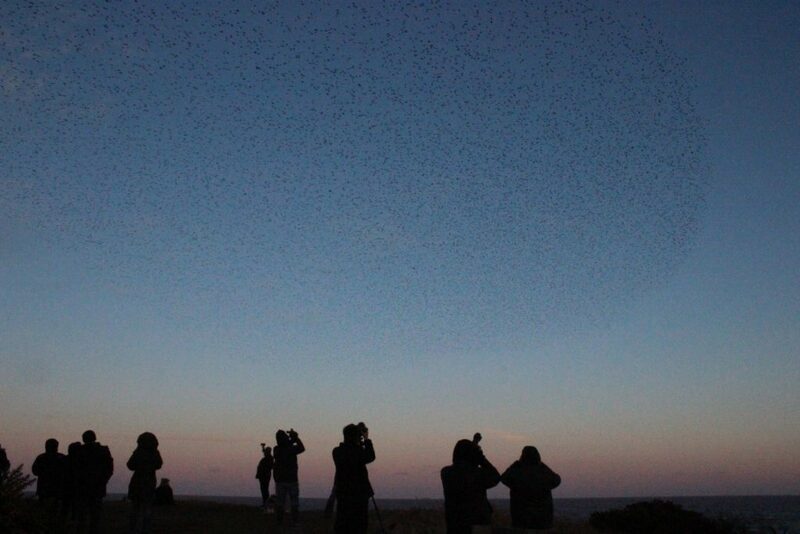 As murmurations are renowned for being somewhat unpredictable (they can happen at any point in the winter with flocks ranging from as few as three thousand to up to sixty thousand individuals) more than a few of us succumbed to initial doubts. Then suddenly – seemingly out of nowhere – a huge cloud of black Starlings billowed up into the sky. Some forty thousand birds dazzled in feats of athleticism and artistry – it was like fireworks with oohs and aahs to be heard across the crowd of both committed birders and casual observers. A child let out an excited cry – ‘it’s a whale’ and indeed it was albeit fleetingly before it became something else entirely! Our friends James and Katie had very kindly set up a kettle and before we knew it we were sipping piping hot tea watching the ever changing display. You couldn’t ask for a better matinee performance. And then – just as soon as it started – it had ended as they all dived en masse into the reed bed to roost. Time to beat a hasty retreat to the car and head home for a hearty roast dinner.